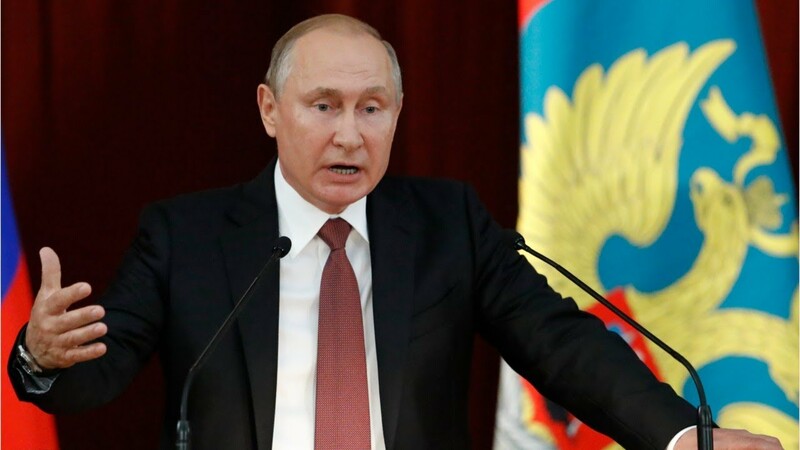 MOSCOW: Russia has suspended the Cold War-era Intermediate-range Nuclear Forces Treaty, President Vladimir Putin said on Saturday, after the United States said it would withdraw from the arms control pact, accusing Moscow of violations. Moscow’s relations with the West are strained over issues including Russia’s annexation of Crimea from Ukraine, allegations of meddling in the US presidential election and being behind a nerve agent attack in Britain. The United States announced on Friday it will withdraw from the INF treaty in six months unless Moscow ends what it says are violations of the 1987 pact. It would reconsider its withdrawal if Russia came into compliance with the agreement, which bans both nations from stationing short- and intermediate-range land-based missiles in Europe. Russia denies violating the treaty. “The American partners have declared that they suspend their participation in the deal, we suspend it as well,” Putin said during a televised meeting with foreign and defense ministers. Putin said Russia will start work on creating new missiles, including hypersonic ones, and told ministers not to initiate disarmament talks with Washington, accusing the United States of being slow to respond to such moves. The row over the treaty has drawn a strong reaction from Europe and China. European nations fear the treaty’s collapse could lead to a new arms race with possibly a new generation of US nuclear missiles stationed on the continent. China urged the United States on Saturday to resolve its differences with Russia through dialogue. During the meeting with Putin, Russian Foreign Minister Sergei Lavrov accused the United States of violating the INF and other arms deals, including the non-proliferation treaty. Putin said Russia would not deploy its weapons in Europe and other regions unless the United States did so.